IBM bare metal servers are certified by SAP for production SAP HANA and SAP NetWeaver workloads. Now you can run and manage your own SAP workloads in the cloud with the same power, control and flexibility you’re used to experiencing in your on-premises data center. IBM offers a variety of bare metal configurations — from small to large sizes — certified for production SAP HANA or SAP NetWeaver. Choose your OS, or virtualize with VMware. No need to change your SAP landscapes when migrating to IBM Cloud™. Use the same VMware skills and tools in the cloud as you do in your existing on-premises deployments. Expand your SAP footprint across five continents faster than adding resources to your private infrastructure — always on demand and with flexible billing. Get performance that matches on-premises computing power — in the cloud. IBM large bare metal servers with up to 8 TB RAM and 192 cores are designed for enterprise-sized SAP deployments. Build your SAP-certified bare metal servers. Mirror your on-premises environments with VMware. Manage your SAP landscape in the cloud through the IBM customer portal, or interact via API. You manage the hardware. IBM will maintain the hardware. Whenever you need more resources, they’re available for you on demand — with the redundancy to protect every workload. Improve security and performance with SAP-certified bare metal servers purpose-built for SAP HANA workloads. Get up and running faster — starting with a wide selection of single-tenant server configurations with certified OS and virtualization options preloaded, preconfigured, partitioned and ready for SAP HANA installations. Take full advantage of S/4HANA on IBM Cloud. Leverage all the right tools for your greenfield, brownfield or Proof of Concept (PoC) implementations, and infuse it with market-leading technologies in AI, Internet of Things (IoT) and blockchain to transform your business. Maximize performance of BW4/HANA advanced analytics computations. Run SAP's next-generation real-time data warehouse solution on SAP-certified bare metal servers and take advantage of flexible scaling options as your data requirements increase. Run all SAP NetWeaver ABAP-based and Java™-based products on highly scalable, open and security-rich single-tenant bare metal servers. Choose from configurations ranging from 32 GB to 1 TB, and add a rich ecosystem of IBM and third-party components, including databases, network, backup and virtualization. The 4-socket and 8-socket bare metal servers are SAP-certified for production S/4 HANA workloads, and are powered by Intel Xeon E7-8890 v4 processors, with up to 8 TB of RAM. These dual- and quad-socket bare metal servers are certified to run workloads on the SAP Netweaver platform, and are powered by the latest Intel Xeon Haswell and Broadwell processors. Get enhanced control over network traffic, accelerate your network’s performance and give your network a security boost with gateway appliances. Deploy flash-backed storage in granular increments and customize it all with a variety of capabilities. Increase storage capacity with a maximum of 48 KB IOPs. 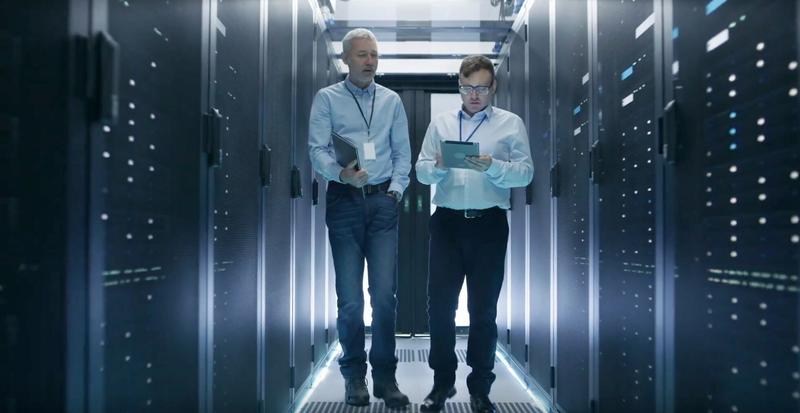 Experience virtually unparalleled network performance when you connect to the IBM global private network via an industry-leading Exchange, Dedicated or Dedicated Hosting provider. Automated backup, recovery and replication solutions designed to keep your company running and your data protected with 24x7x365 availability. Protect, expand or migrate your existing VMware vSphere and other hypervisor workloads onto the IBM Cloud global high-performance infrastructure. Have IBM skilled resources perform time-consuming management and maintenance of SAP applications so your resources can focus on your business. Supports faster delivery of SAP services and greater flexibility to respond to workload changes. A prepackaged, enterprise-class solution, IBM Cloud Private delivers a single platform located behind your firewall. From adopting and migrating to optimizing mission-critical workloads, IBM offers services and tools to support you during every step. Go beyond on premises and build your own SAP-certified bare metal configuration on the cloud.